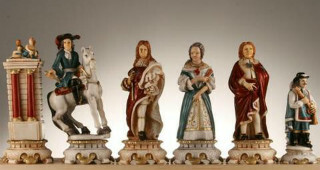 How much do you really know about Chess House? Are their products worth spending your hard-earned money on? Check out our comprehensive review to find out! 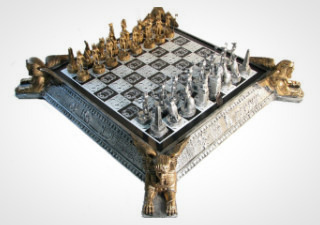 Chess House is a remarkable business that is devoted to not only providing the best quality products to its customers, but also making sure that those customers are kept happy. When you shop with them, you really do get the feeling that they are one of the few remaining large businesses that really cares about more than simple profit margins. Even though it has expanded over the years into an extremely successful international business, shopping at Chesshouse still feels personal, like you’re shopping at a mom and pop shop, because of the care and attention to detail that goes into fulfilling each and every order. 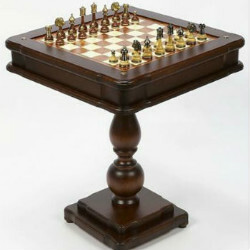 Chesshouse is an online chess merchandise store that has been in business for quite a long time. They were originally established all the way back in 1972, when Jack B. Winters opened up a brick and mortar store called the Chess House at the intersections of 39th & Main and 74th & Broadway. To make a long story shorter (though we’ll get into the full details later on in this review for those who are interested) the shop changed hands a few times before two enterprising young brothers acquired the Chesshouse brand, took it online, and molded it into the international success that it is today. 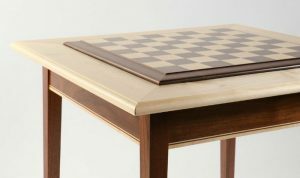 Chess House has made a name for itself as being a trustworthy place to buy quality chess products, and it does everything it can to uphold that reputation. 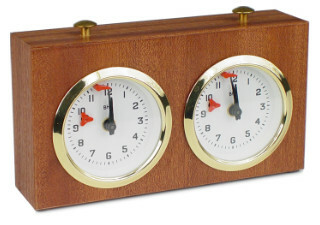 They pride themselves on offering only high quality products that have been thoroughly vetted. You might not find the bottom of the barrel prices at Chesshouse that you could find elsewhere, but that’s only because they refuses to sell poor quality products that you ultimately won’t be satisfied with. And they do want you to be satisfied with your purchases! If you’re not, they offer a 100% guarantee, so you can get your money back. This guarantee makes for risk-free shopping. Besides the incredible return policy, Chesshouse.com is generous in other ways as well. 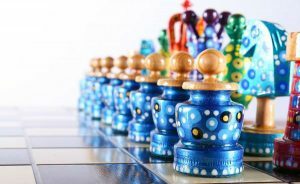 It offers for free on its website several different helpful resources that are perfect for people who are interested in learning chess. They explain not only the rules of the game, but also offer tips and tricks for playing it to the best of your current ability. Beyond that, it offers advice on which resources to seek out to keep advancing your game. 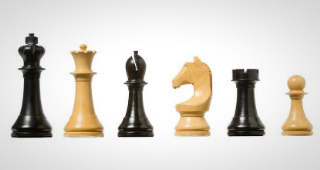 They also have a resource that will help you wade through the many different types of chess sets available in their shop and help you choose the one that’s right for you. This is actually a helpful resource that offers a lot of good advice without trying to upsell you. 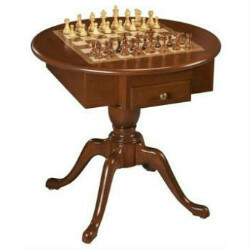 Speaking of products, Chess House has a spectacularly large selection of them available. 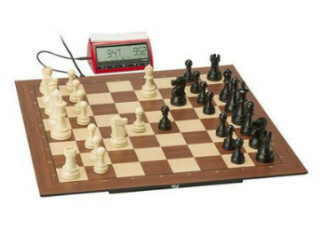 Of course they sell chess sets, boards, and pieces, but they also stock electronic chess boards and chess computers, clocks, scorebooks, bags, boxes, cases, tables, learning materials of all kinds, and even medals and awards that can be given out at chess tournaments! 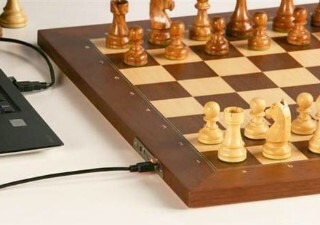 If you need any sort of chess-related product, you should have no problem finding it on their website! 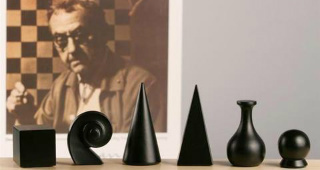 They also stock products from a number of different artists, both well established and up and coming such as Sydney Gruber, Man Ray, Grace, Bauhaus, House of Hauteville, and others. 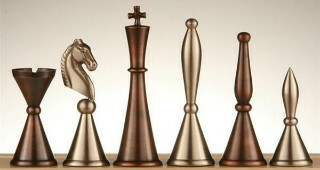 If you’re looking for handmade chess equipment with designer style, These Chess Artists can certainly provide it. 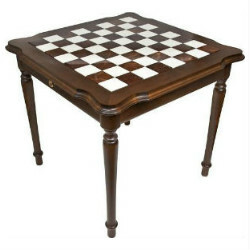 Chesshouse has the largest selection of chess items that we’ve seen in any other chess store – online or off. 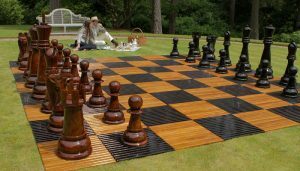 They stock a wide variety of different chess-related products, so you can count on them to offer products for any need you may have. 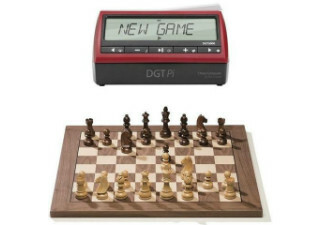 They’re not just a place to buy chess boards and pieces, you can also find educational materials, teaching supplies, electronic chess equipment, and almost anything you may need to take you all the way from chess beginner to chess master! Chesshouse will be there with you every step of the way. 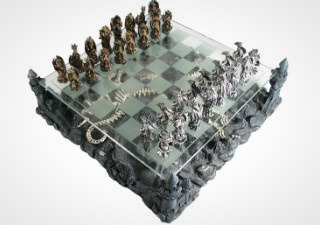 Chess House actually has surprisingly good pricing, especially when you take into account the quality of their products and the rigorous vetting process each one goes through before it’s stocked in the shop. Granted, they don’t have as many products available on the lower end of the budget spectrum, but as we’ve covered before, this is due to the fact that they refuse to sell junky, low quality products. 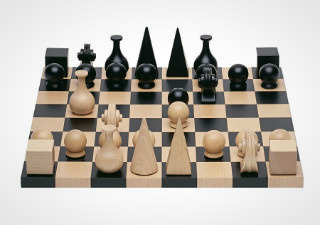 We consider this a mark in their favor, because no one wants to buy a cheap chess set and then find out it was cheap for a reason. 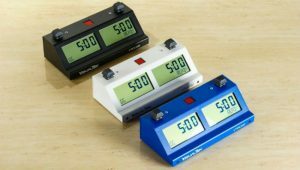 At Chesshouse.com, you can be sure that any “good deal” you see is a genuinely good deal for a good product, not just a cheap price for a piece of worthless junk. 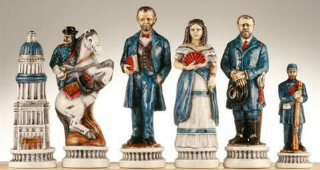 Chesshouse is a great place to buy chess sets for players of all ages. 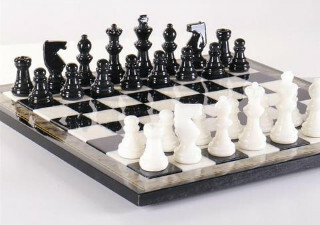 They have fancy designer chess sets for serious players as well as cheap but sturdy plastic sets for children and others who are just starting out and want something inexpensive yet functional. We think their pricing is affordable and fair, and customers can rest assured that they’re always getting what they pay for (or more) at Chesshouse. 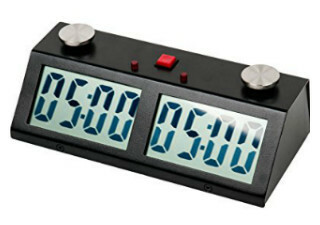 At certain times, some items can be found on sale in the clearance section of the website. 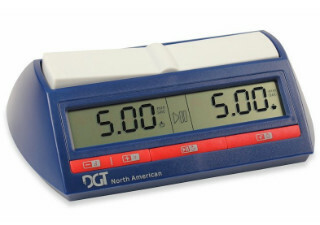 This is usually used for selling off remaining stock of products that have been discontinued due to not selling as well as anticipated, or for other reasons. They also have a section where you can buy discounted open box, scratch and dent products that may have suffered minor damage. This can be a great way to find an amazing deal if you’re not bothered by minor cosmetic flaws. 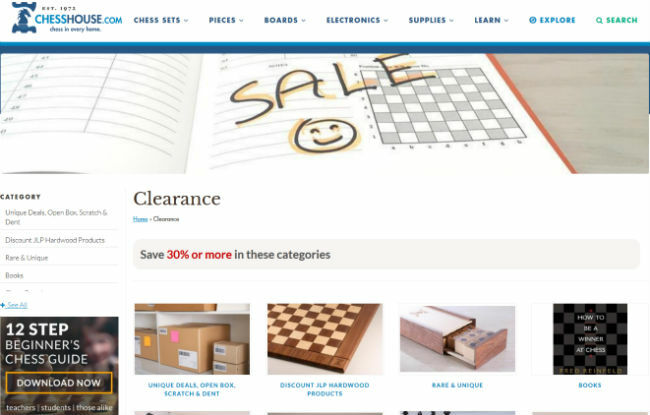 The discounts available in the clearance section are typically 30% or more on each item, so it’s definitely worth a browse if you’re on a tight budget or just interested in saving a little money. Email subscribers will be the first to know about any sales or items going into the clearance section, so you may want to subscribe in order to get notified of the best deals as soon as possible. Occasionally, an email may also be sent out to subscribers that contains an exclusive discount code, so that’s some extra incentive to sign up as well for access to the best deals and prices. Their customer service is, frankly, exceptional. There are very few other businesses these days that would go to the lengths that Chess House goes to in order to keep its loyal customers happy. First of all, they respect their customers by testing each and every product that goes up for sale to ensure that it’s something worth buying. Their commitment to keeping low quality products out of their store entirely is a testament to their respect for their customers and very refreshing in this day and age. 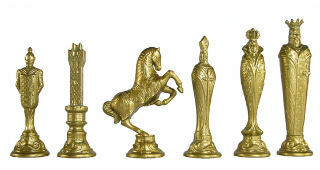 It would be very easy to just sell any old thing and let the money flow in, but Chess House chooses not to do that. The customer service team is very reasonable and accommodating. If you are dissatisfied with your purchase for any reason, rest assured that they’ll find a fair way to make it right for you. But they’re not only there for times when things went wrong – they can also offer other services, like tracking down replacement parts for a chess set that you bought years ago, or recommending a product for your unique situation. They’re very friendly people, so don’t be afraid to reach out if you have a question! 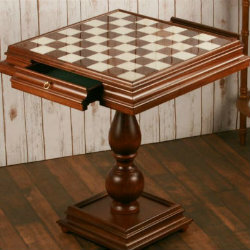 Chess House offers free shipping on orders of any size to anywhere in the contiguous United States, which is always great to have. Their international shipping rates are also very reasonable, and they’re transparently listed right on their website. It’s a flat $7 – 9$ fee to ship your package anywhere in the world, regardless of how much it actually costs them to ship it. They also take special care to pack your products snugly and safely so that they arrive at your doorstep in perfect condition. 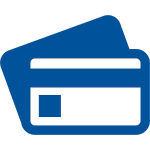 They accept many different types of payment, including credit cards from 4 major companies, PayPal, Amazon Pay, Purchase orders, and even personal checks and money orders. The return policy is where they really shine. 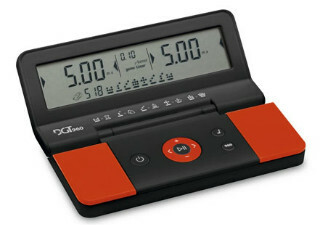 They give you a generous 6 month window to evaluate your product and determine whether it’s really a good fit for you. 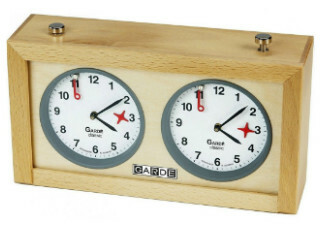 At any time during those 6 months, you may return your product for a full refund, store credit, or exchange. As long as the item is received in the same condition that it was sent, no restocking fees of any kind will be charged, and your return will go off without a hitch! 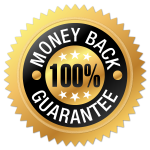 Their 100% satisfaction guarantee is relatively standard in the industry. If you aren’t satisfied with your purchase, you can return it for a refund or store credit. It really shows you how confident they are in the quality of each and every single one of their products. Overall, it’s simply a joy to shop at Chess House. The website is extremely user friendly and easy to navigate. In just a few clicks, you can find anything you’re after. 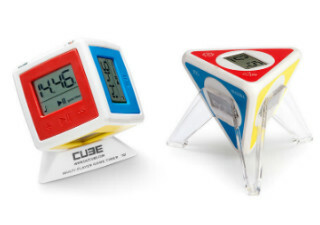 You can search by product type, category, or even explore products perfect for school use, home use, outdoor use, and even get gift suggestions! Filters on each category page help you narrow down your search even further. It’s also a surprising weight off the shopper’s shoulders to know that you don’t have to be looking at every low priced product with a critical eye, wondering whether it’s a good deal or a piece of junk that’s not worth buying at any price. 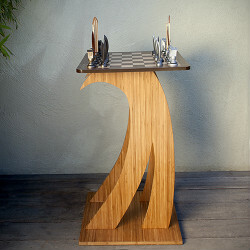 The knowledge that everything listed on Chesshouse.com is tested for quality means that you can shop without worry. 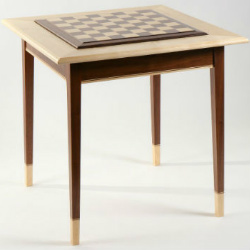 Chess House is a brand that has endured and evolved for more than 3 decades, and for good reason. Its unwavering dedication to its customers sets it apart from other businesses and is largely responsible for making it the successful business that it is today. When Jack B. Winters first started it back in 1972, he could have had no idea what it would eventually become. 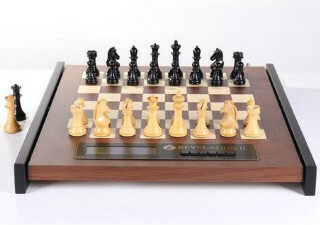 Seven years later, when he sold his business to Don Oswald after the excitement from the Spassky-Fischer world championship game had died down, he may have thought that it was the beginning of the end for the business he had built. In reality, the company would see a large growth spurt after Oswald took over, with the subscriber list expanding from 1,000 names to 8,000 over his 15 years of ownership. He turned the Chesshouse brand from a local store into a booming mail order business, which the teenage Neff brothers would frequently order products from to resell to their friends. In 1994, those brothers, having grown up a bit, but kept their entrepreneurial spirit, would take over the brand and move its base of operations to Lynden, WA where it remains to this day. The Neff brothers with Robert Katende and Phiona Mutesi, the main characters in the Disney movie “Queen of Katwe”. Elliott and Raphael Neff have brought the business into the 21st century. They transformed the mail order model into a booming online shop and have continued to reap the rewards of that decision. 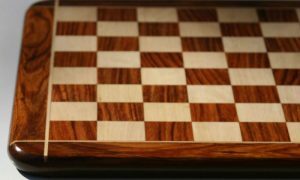 Running and maintaining Chess House has kept the brothers fairly busy for the last several years, but they have also managed to find the time for their own passion projects on the side. 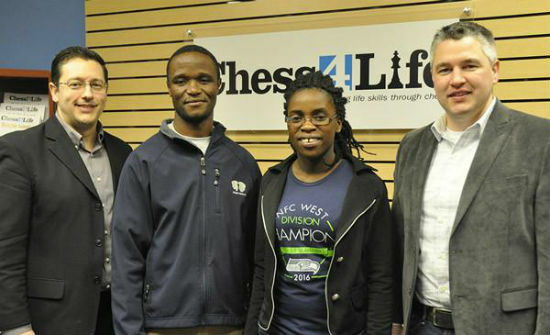 In 2005, Elliott Neff founded the organization Chess4Life, which is dedicated to helping children learn the game of chess through private lessons, classes, clubs, camps, and other endeavors. 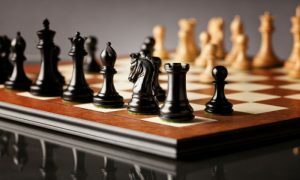 Their mission is to bring the game of chess into every home around the world because it teaches children good sportsmanship, decision making, planning, and how to learn from mistakes, among other things. Through learning chess, children can learn many valuable life skills as well that will help them become better people in the long run. Elliott also works closely with the The Robert Katende Initiative to teach chess and life skills to people in underprivileged parts of the world who may otherwise never have had access to it. In fact, Elliott was the mentor who personally taught Phiona Mutesi the game of chess through regular Skype lessons. Now, Mutesi is the central character in Queen of Katwe, a new Disney movie that tells the true story of how a young girl who came from the slums of Uganda learns to play chess and works her way up to becoming a Woman Candidate Master after victories in the World Chess Olympiad. 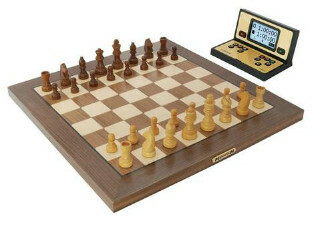 It is an inspiring tale that reinforces just how much the game of chess can change someone’s life for the better. 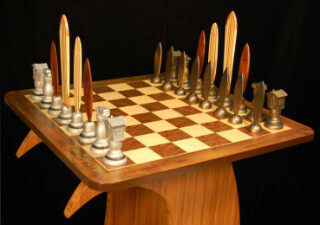 Chess House is a truly unique modern business. It has all of the convenience of a large business, with convenient worldwide shipping, easy returns, and a huge product selection, but all of the charm of a family owned shop with its generous return policy and friendly customer service. It somehow manages to nail the perfect balance between large and small business features, which makes it the perfect place to shop. Furthermore, its owners are not just entrepreneurs, they’re also altruistic people with their own charitable foundations to support. 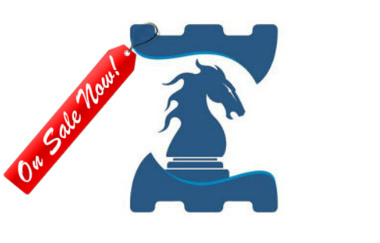 There’s no denying that buying from Chess House puts money into their pockets – money which they’ll more than likely reinvest into helping children learn the game of chess and have their lives changed by it. You have to feel good about that! We can’t think of a single bad thing to say about the shopping experience at Chess House. 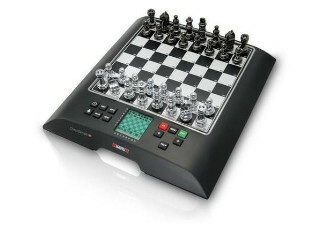 After reviewing every aspect of this online shop, from its customer service to its product selection and everything in between, we can safely come to the conclusion that this is a great place to shop for any sort of chess equipment you might need. They have a fair return policy, friendly customer service, and a wide and varied product selection. There’s practically no need to ever shop anywhere else! 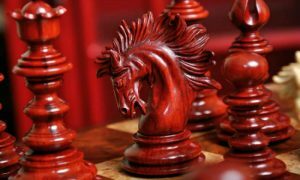 We can wholeheartedly recommend Chess House as an online source for all of your chess related needs.